P10 Seismic Upgrade of Alaska Airline MTX Building, SeaTec Airport, Seattle,WA. Seismic Upgrade of Alaska Airline MTX Building, SeaTec Airport, Seattle,WA. The 3-story maintenance and engineering building was built in 1965 and expanded in the 1990. 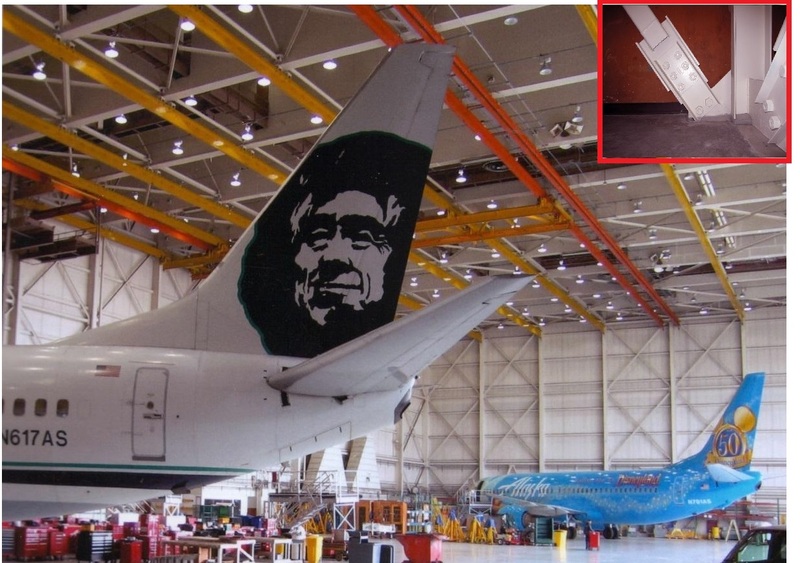 It houses the majority of Alaska Airlines maintenance and operations information as well as parts storage and work space. For this reason, the steel braced frame building was upgraded to meet the Immediate Occupancy performance objective of ASCE 41. The seismic upgrade involved the installation of Pall Friction Dampers in new and existing braced frames throughout the building to lower drifts and floor accelerations during a major earthquake. A total of 56 Pall friction dampers were installed in the building. Installation of dampers in existing braces reduced the cost of construction and disruption comparable to conventional approaches. As a major portion of seismic energy is dissipated by the friction dampers, the expensive and time consuming work of strengthening foundations was not required. Also, the conventional construction would have required replacement of existing braces with heavier braces. Reid Middleton, project structural engineers won 2010 ACEC Engineering Excellence Award, for using innovative structural design solution.